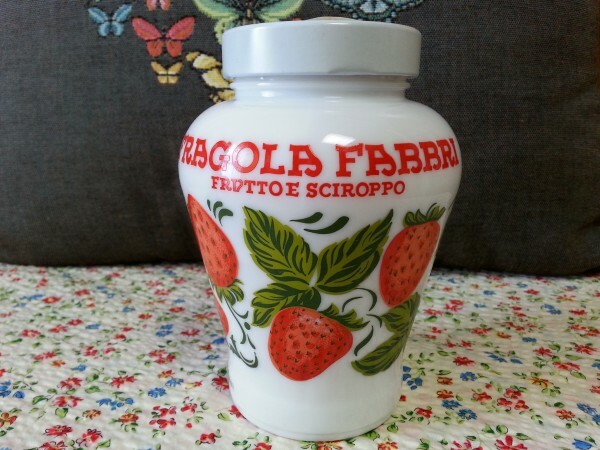 I was cleaning in the kitchen and I found a beautiful pottery jar that has some strawberry fruit syrup in it. It was made in Italy. I bought it in an Italian festival at a department store a few years ago. 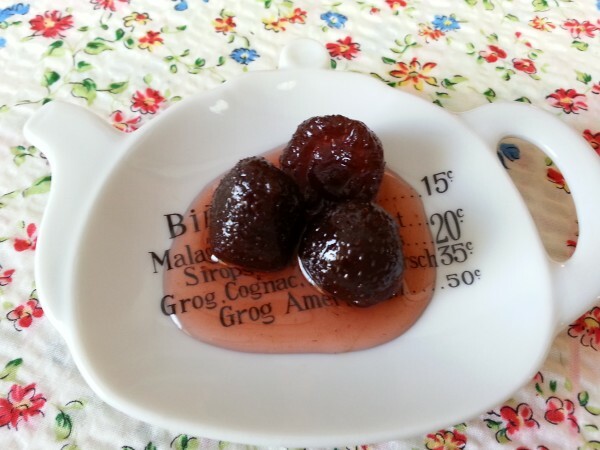 I was more interested in the pretty pottery jar with strawberries picture rather than the actual taste of the syrup. I am really a “binbou-kusai” person. As much as a frugal for like myself, I never opened it. I wanted to save it some special occasions. Unfortunately, now I realized that it expired just this September. In this case, do you throw it away? I didn’t. I opened it and tasted the strawberries. It was good! I sometimes forget the expiry date and have to throw things away. I reflect on myself every time. I am really a “binbou-kusai” person.